I had a wonderful time, and I hope there will be many more than Six Nights in Naples! Phillips ... knows just the right moment to surprise us with a plot development to sustain his yarn spinning along in high gear. The balance between music and dialogue, where one takes over from the other, is judged to a tee. Eden Phillips' book and witty lyrics ... and John Cameron's catchy music provide … a cracking evening full of tuneful ballads and lively ensemble numbers that would not look out of place in the West End. As for the women, Eden Phillips's book and lyrics carefully provide space for the voicing of their sorrows. An engaging and uplifting affair. John Cameron and Eden Phillips's music and lyrics are made to measure for a musical that makes you feel blissed out. The lyrics are witty, often risqué, and very funny. The music is wonderful and the singing is fantastic. If you like an Evita/West Side Story flavor you will like this one. I purchased this album knowing very little about the composer, but was drawn to it being familiar with some of the performers on the recording. I have been absolutely blown away by the album. I don't know if there's been a production mounted as yet, but I can only imagine it's just a question of time. The songs are beautiful and as expected, the singers used to deliver them match the brilliant material. 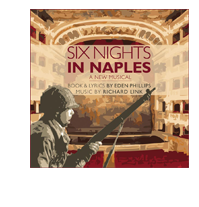 Any musical theatre fan will be able to appreciate the superb score and first class production on this recording. 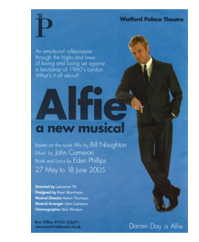 I really hope someone out there 'discovers' it and mounts a full West End production... I will be the first in line to buy a ticket... especially if they manage to get Joanna Ampil on board. Having received this score as a gift from a close friend, who had seen the film (Il Postino), I was told that this would be 'up my street' and I must say he was right! The score is beautifully put together, not knowing a great deal about musical theatre, but having an ever growing appreciation for it, this album has not left my CD player. The singers deliver the songs wonderfully, that coupled with the vibrant instrumental pieces, make this album a must have for any musicals fan. 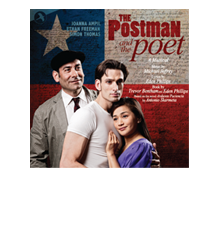 The discovery of THE POSTMAN AND THE POET (CD) is the discovery of a treasure. 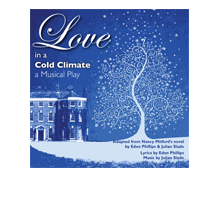 … Acoustically, this musical is a true listening pleasure from the first to the last second. In addition to reflections of Boublil/Schonberg's musicals Les Miserables and Miss Saigon in the overture and ensemble numbers, composer Michael Jeffrey has developed a style all of his own – Latin rhythms, fitting to Chile, can be heard in the very peppy "Taca Taca" (and "Dance at Rosa's") and also in "Poetry is Poison". There are many musical highlights on this double CD. ... The whole package has plusses and minuses, as you would expect with a new musical that hasn't yet had a stage production. To dwell too much on the minuses would be to do the piece an injustice ... 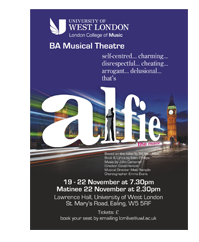 The cast are all musically excellent and I really wish that I could be watching it live on stage. The arrangements are wonderful and a special mention must go to Craig Barna who carried out the orchestrations and conducts the National Symphony Orchestra for the CD. David Kernan and Eden Phillips' show is wonderfully performed at the King's Head, a venue that consistently pulls the proverbial rabbit from the hat on the musical front. 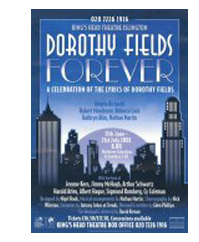 For all the big budget, blockbuster shows in the West End, the King's Head seems so often to have the last word – "Dorothy Fields Forever" is no exception. First things first: Dorothy Who? First seen at the tiny Jermyn Street Theatre in February, this effervescent fringe treat makes a highly welcome return to the slightly larger King's Head, whose dinner theatre ambience is perfectly suited to the show's intimate charms. ... Director David Kernan and co-deviser and writer Eden Phillips have cleverly weaved some 40 songs into a brief biographical tale of her life. With the writer herself embodied by the mature, stately presence of Angela Richards, much of the narration is given in the first person, a device that allows us to see the woman behind the songs as well as the songs of the woman. Richards is ably supported in putting those across by Rebecca Lock, Robert Meadmore, Kathryn Akin, Stori James and pianist/singer Nathan Martin. ... Watching the show it struck me that anthologies are often more enjoyable than full blown musicals: you get the plums without having to sit through the duff stuff. 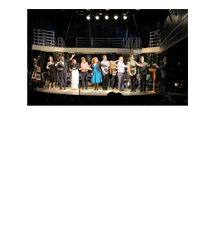 And Kernan, aided by choreographer Nick Winston, stages the songs neatly with a talented cast of five. Angela Richards endows Fields herself with a wry detachment and delivers one of her lyrics, He Had Refinement, in the highly comic baby-voiced style of Judy Holliday. And she is elegantly supported by the self-satirising Robert Meadmore and the slit-skirted Rebecca Lock. Joy at the end was unconfined at a show that serves up old standards while also taking us into fresh Fields and pastures new. 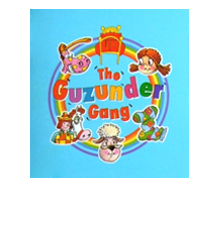 The Guzunder Gang were my childhood heroes. I would recommend this book to all the fellow people who would like their children to have FUN and learn manners. 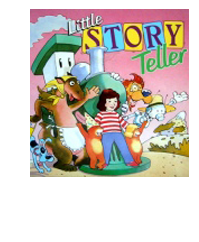 Some of the most catchy music and lyrics for children I have ever heard. I still know the words and hum along to tunes I haven't heard for five years – the sign of a truly good song. Designed and built by Dot2Dot Design LtdCopyright © 2014 Eden Theatre Ltd. All Rights Reserved.